One thing we like most about the Android device is that they are easy to customize and you can do lots fo things on the android. If you have the rooted device than you can install lots of rooted apps and install mods on the device like change the boot animation of you phone, Keyboard in Different Colors Like Blue, Red, Orange , take Nandroid backup of your device, remove unwanted apps from system and install lots of custom rom on your android. Today we are back again with new customization guide for android, this time we’ll show you how you can change the Android system fonts easily. To get started all you need a free application called Fontster. 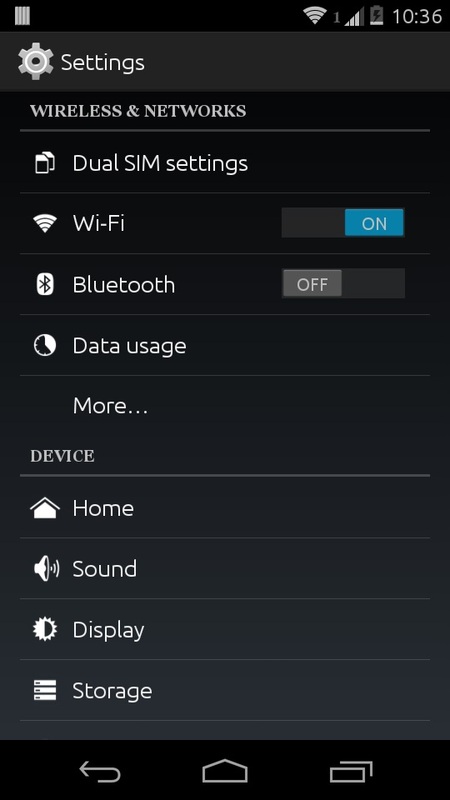 The application works on all rooted android device running close to stock (AOSP) builds. We tested this application on our Nexus 5, Nexus4 , Nexus 7 and new Moto E. With the help of this app you can easily change the system wide fonts on your Android device within a well designed Holo UI. The app is packed with some awesome feature like Backup and restore fonts, Preview and test fonts prior to installing, View currently installed font and has the above 150 fonts. Lets take a look how the app works on the rooted android. 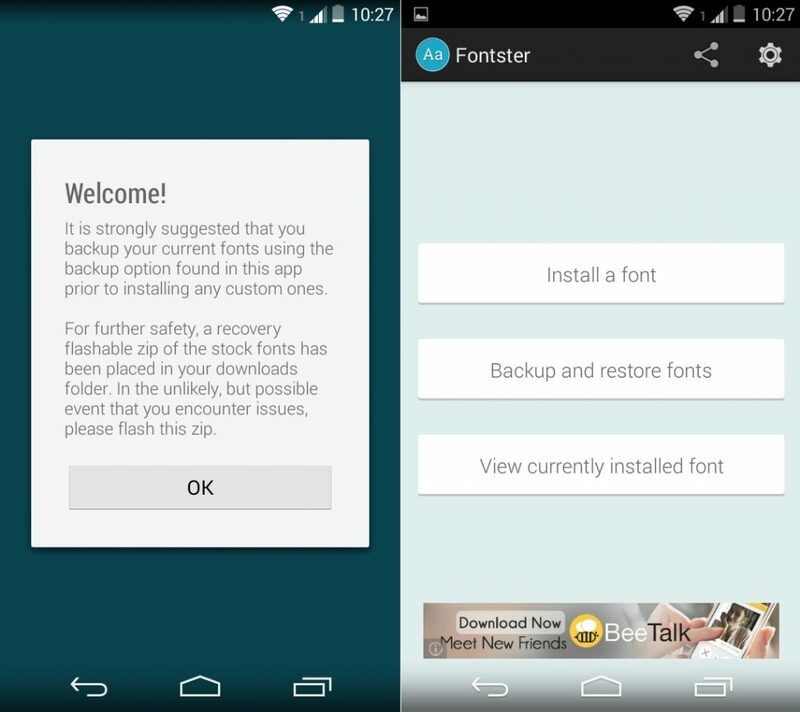 Visit the Google play store app on your rooted device and install the Fontster, you can find the direct download link of the app at the end of this guide. On the first screen of the application it will ask you take the backup of your system fonts. Hit the “Backup and Restore Fonts” option and take the backup of original android fonts. Once the backup is done you can install the new fonts on your device. To install a font simple tap on the font that you want. If you would like to preview a font prior to installing, press and hold it. That’s it! Now you can enjoy the new fonts on your android phone and tablet. In future if you want to go back the default font, use the restore option from the app.